What really strikes me is that when I used to think of people who had heart attacks, I would imagine them being severely overweight and in poor health overall. My Dad was a pretty normal weight for his size (he used to say he should lose about 15 pounds, which is pretty average for most men). And he exercised: he worked out at CrossFit nearly every morning. 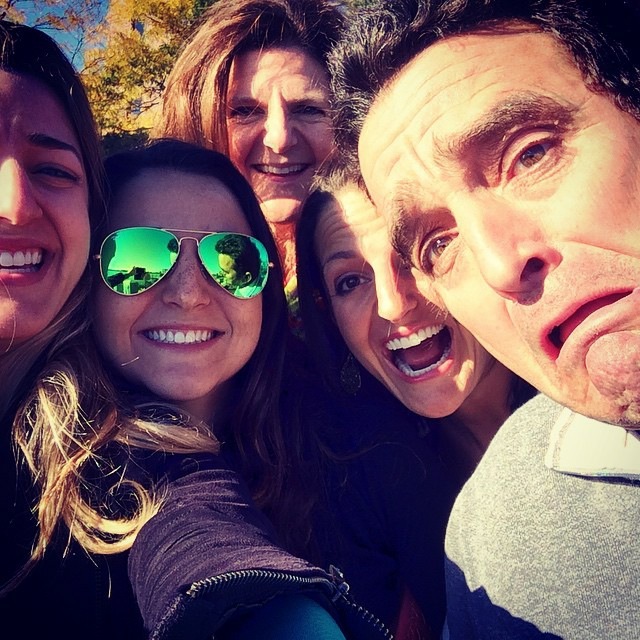 But he had heart issues, and he liked to eat his favorite foods sometimes, which were not necessarily the best choices for a man with heart disease. It takes more than working out and eating healthy ‘some’ of the time. One of the most significant factors of cardiovascular disease is the food we put into our bodies. Most heart problems are preventable, but it takes a lifestyle shift to have a real impact on our health. It’s not about dieting here and there; it’s about reshaping the way we eat permanently. I always used to trick my Dad into eating “healthier” versions of things, such as black bean brownies or cauliflower couscous. However, his favorite candy of all time was peppermint patties (which are full of sugar, corn syrup, and JUNK). So in honor of my Dad and of February being American Heart Month, I created a healthy peppermint patty. Which will now be known as a Peppermint Johnny. 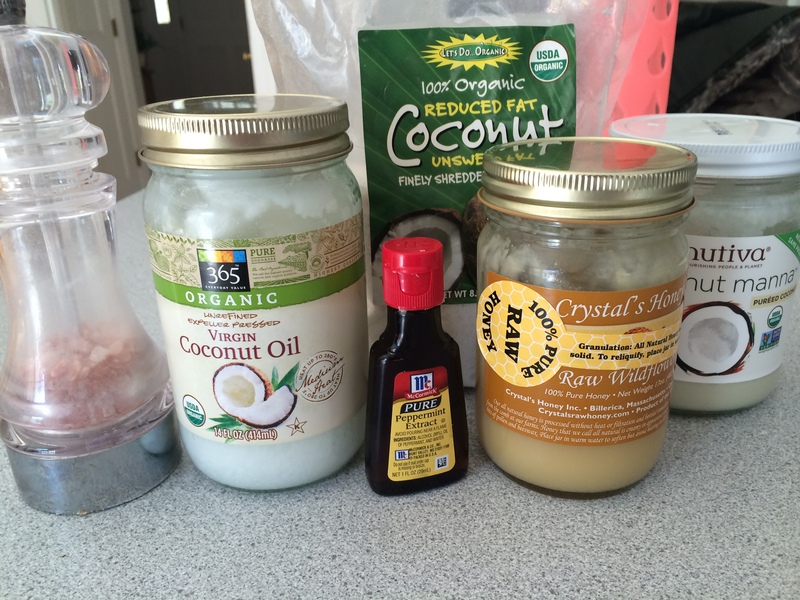 **(It’s different than coconut oil and usually found in health food stores like Whole Foods. Sometimes when you first open it, you’ll see that it separates and the oil goes to the top of the jar- you can let the jar sit in a pot of hot water for about 10 min and then mix it up. You don’t have to do this but that layer of oil annoys me so I did it this time). 1. Put all ingredients in a food processor, and process for a few minutes- until well combined. 2. Put mixture onto a metal cookie sheet lined with parchment paper. (Doesn’t need to be metal, but I like it because it gets colder faster) and place in fridge for a few minutes to harden a little. 3. Put water on your rolling pin and roll out the peppermint mixture ‘dough’ to about a 1/4 inch thickness. 4. 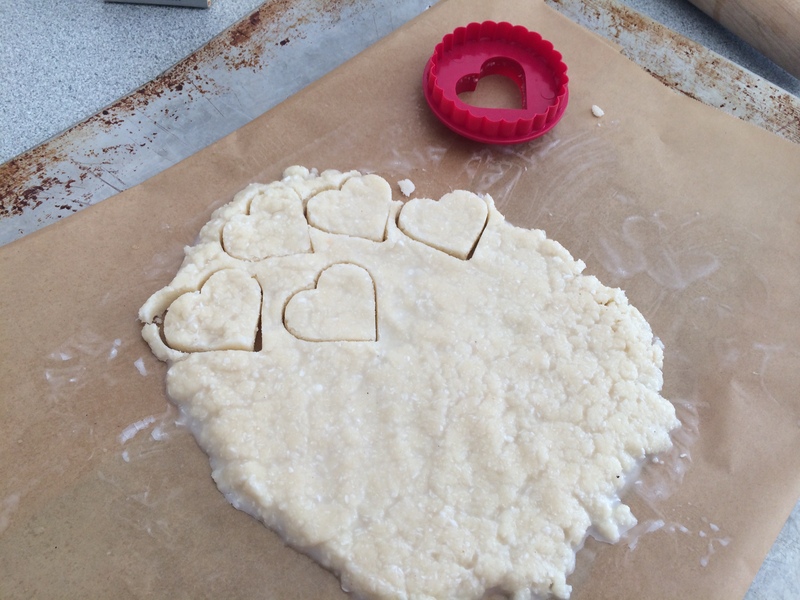 Use a small co okie cutter to cut out little hearts or whatever shape you want. You could also just make regular patty’s if you choose to be boring. Haha I’m kidding. But really. 5. Put on parchment p aper lined baking tray and freeze for about 10 minutes. 6. While it’s freezing, use a double broiler (or microwave if you are careful) to melt 1/2 dark chocolate with a tad (1/ 2 tsp – 1 tsp) of coconut oil together. The oil will help make it easier to cover the patties. 7. 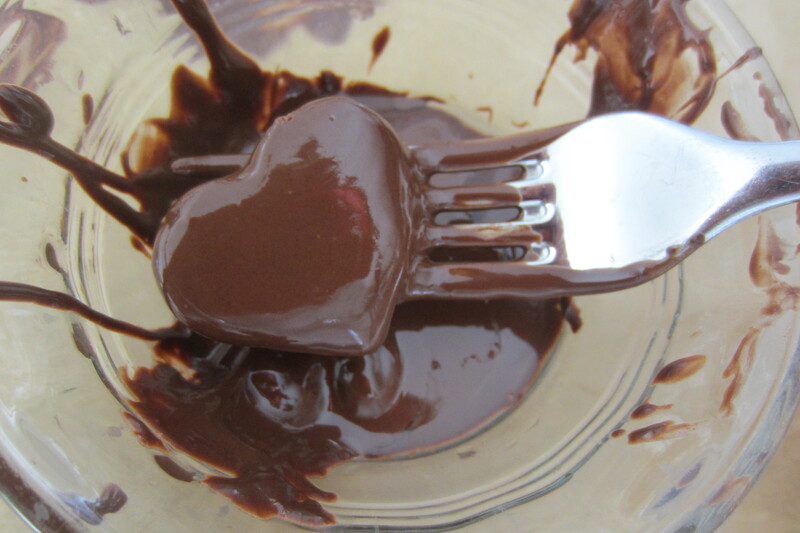 Put the chocolate in a small bowl (preferably one that is not too shallow) and use a fork to dip each heart into the chocolate. Tap off excess chocolate and place back on tray. 8. Freeze patties for another 5-10 minutes. This recipe makes 20-25 patties depending on how thick your roll them and the size of each patty. You can keep them in the fridge or freezer until you’re ready to eat them. They shouldn’t melt unless it’s hot in your home or you put them in the sunlight… I mean this is chocolate we’re working with here people. Enjoy your healthy Peppermint Johnnies! 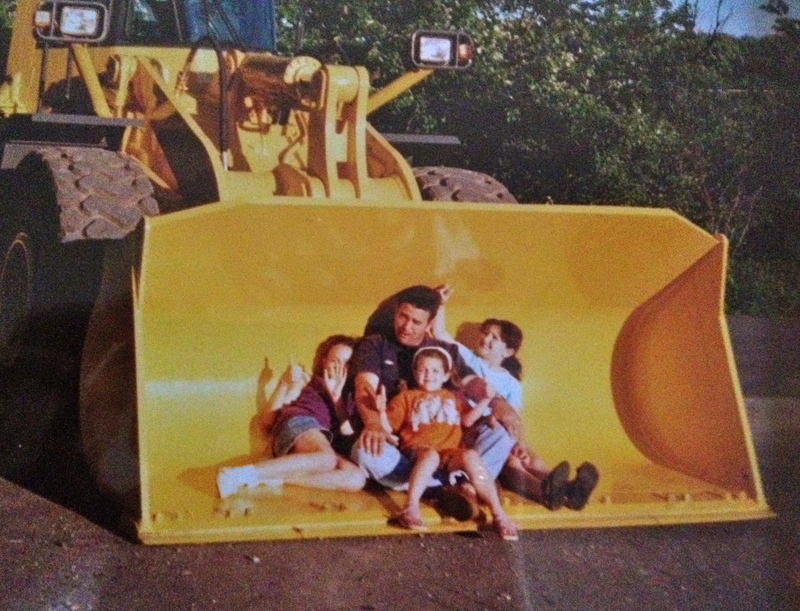 For Dad (1.06.15) with Love. I can’t believe how good these Peppermint Johnny’s taste! The fact that you wrote this a little over a month after your father passed is amazing. I can’t wait to try this recipe out. Aw thank you : ) Let me know what you think. Miss ya!